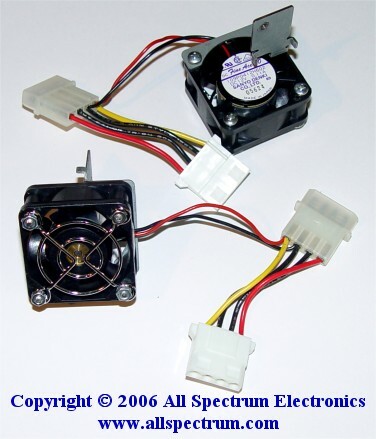 12v DC Fan, 40mm, 20mm thick, same as pictured, but with NO finger guard, PC molex power connectors, and custom bracket. High quality Sanyo Denki, made in Japan. Custom bracket can be easily removed.